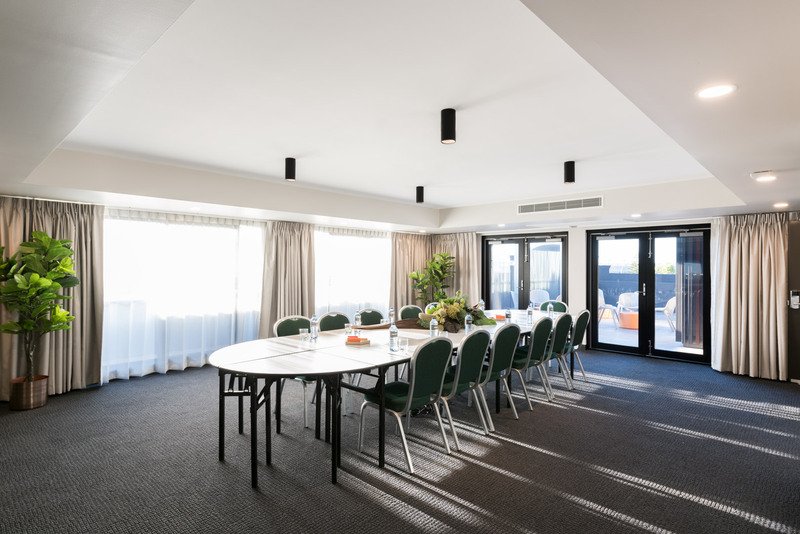 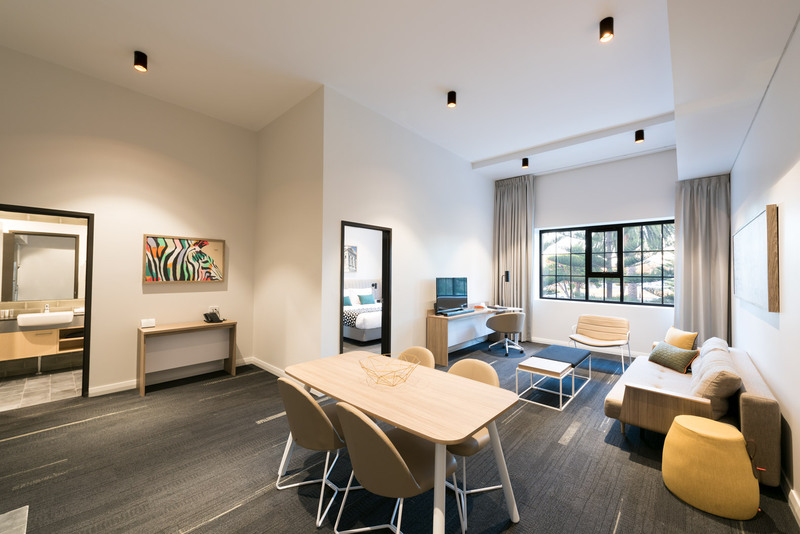 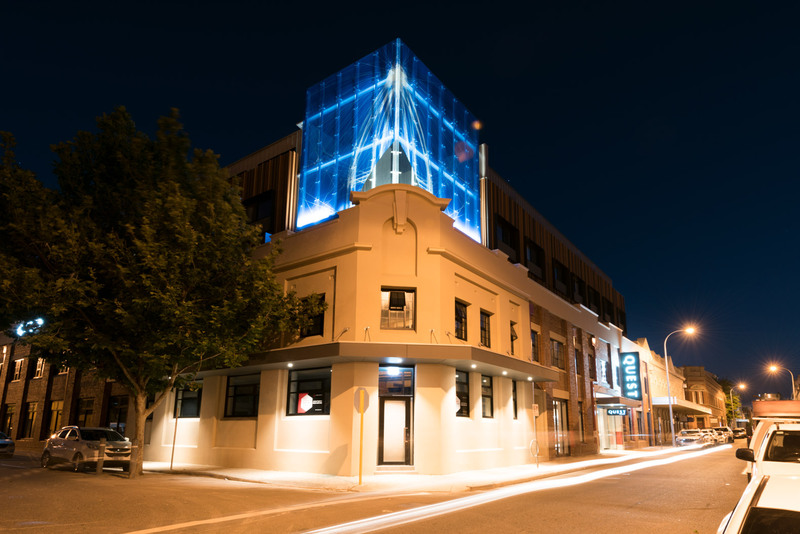 Situated in the historic port city of Fremantle, Quest Apartments fuses an existing heritage building with the construction of a new 5 level building. 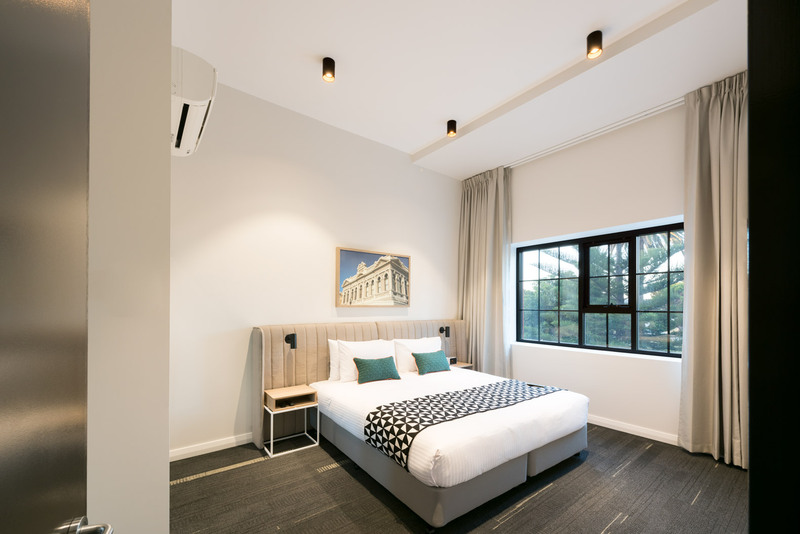 The iconic 1920’s brick facade remains, whilst the new building structure brings 73 new short stay accommodation rooms. 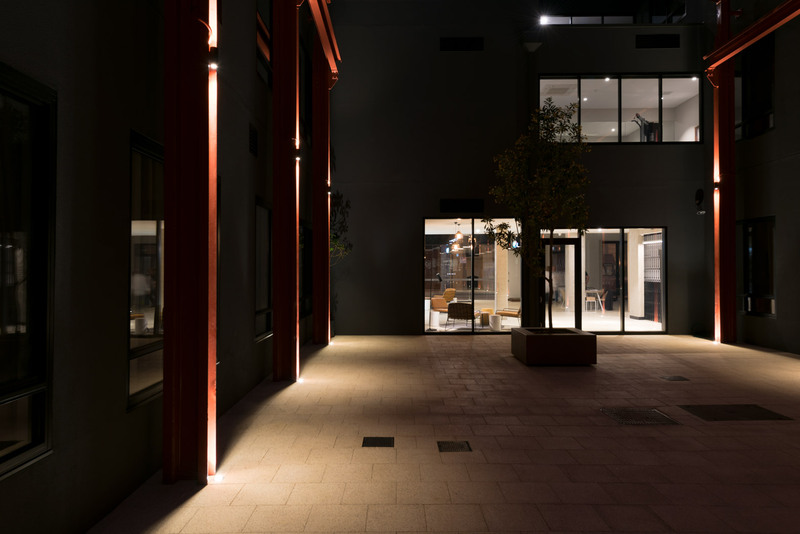 Lighting throughout serves to highlight the stunning exterior facade whilst bringing elegant contrast to the interior. 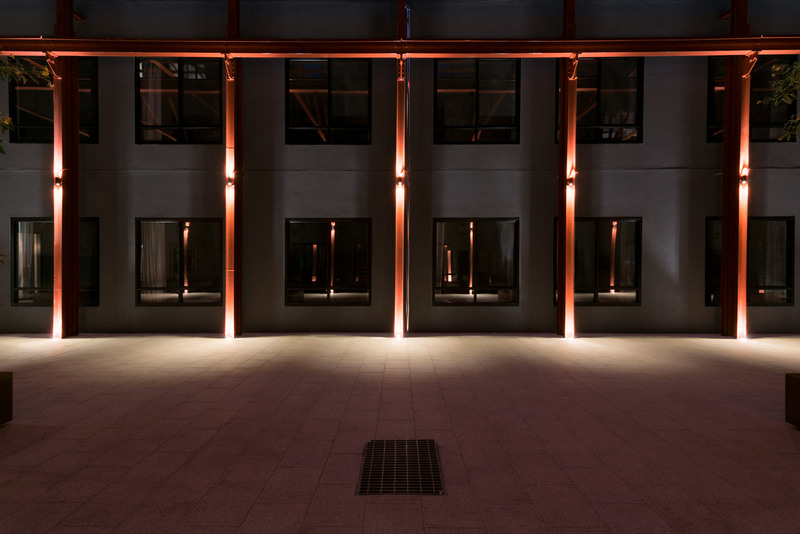 In the evenings, the intricate brick and metal facade comes alive with an inventive of use of light that shines in harmony with the metal beam structures. 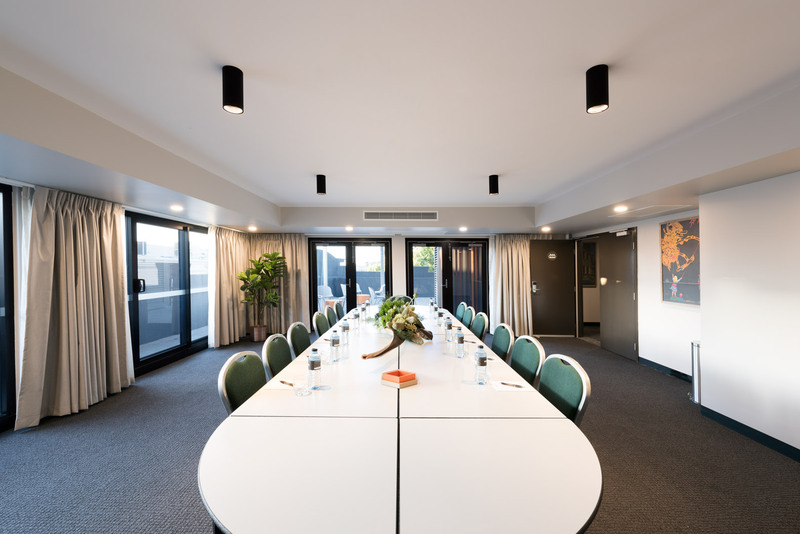 These striking vertical beams are achieved with a combination of Onyx Wall Lights and Emerald Inground Uplights. 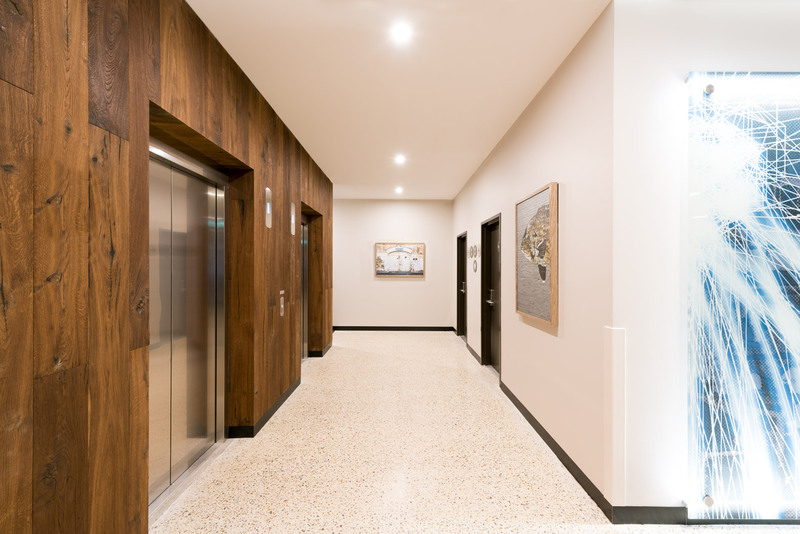 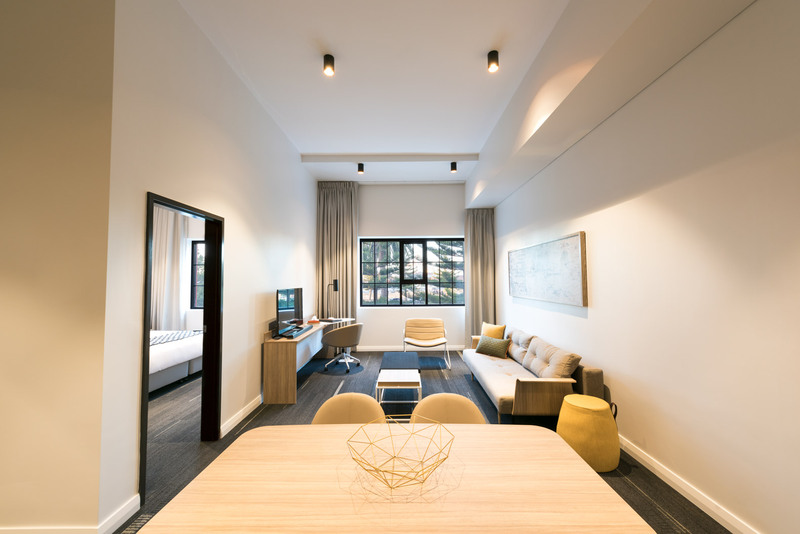 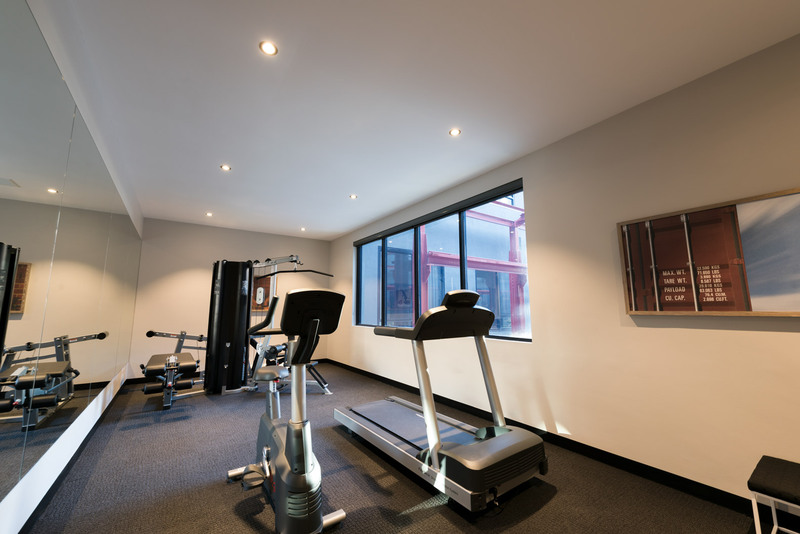 The interior apartments, function rooms and gymnasium utilise both surface mounted and recessed Titanium Downlights in a textured black finish with a gold trim insert for an elegant contrast to the black and white interior scheme. 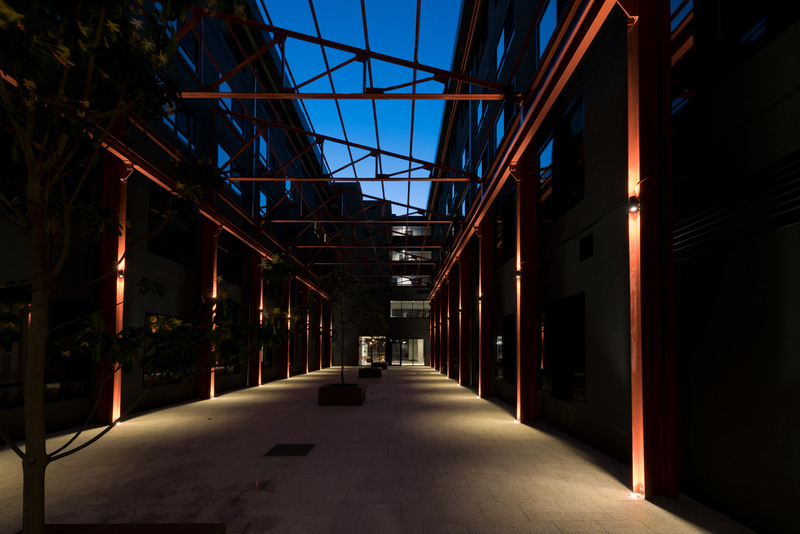 Each lighting application both inside and outside, provide a careful balance in form and function that gels with both the heritage and modern aspects of the project.